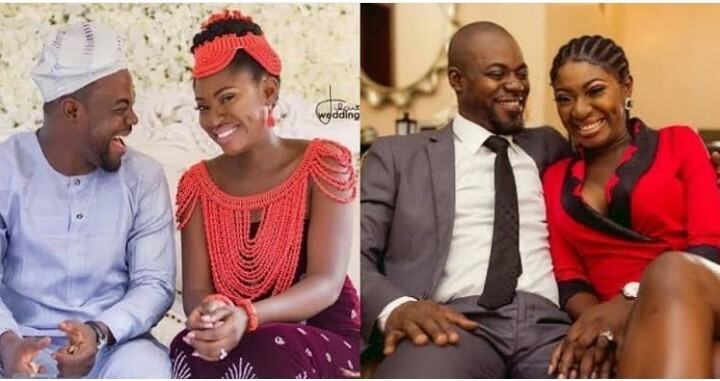 Top Nollywood actress, Yvonne Jegede has opened up about the perceived crisis in her marriage to Olakunle Abounce Fawole after the pair welcomed their four-month-old son, Xavier. The actress in a recent interview with Pulse said she quit the union three months after she got pregnant with her only son. In her words, “we started having issues before the birth of Xavier. I think I was about two to three months pregnant when the issues came. Immediately the issues came, there was never a dull moment, it just kept going up and up and it got worse and it got bad and today here we are”. The actress with a career spanning 16 years said when the issues in her marriage to Abounce, a former rapper and actor, became obvious and irredeemable she moved out of their matrimonial home after a mutual agreement. However, Jegede said her marriage to Abounce was worth it for the months it lasted. She said the times they shared together as a couple were nice and sweet so she wouldn’t trample on those times. The couple had their court and traditional wedding in 2017.